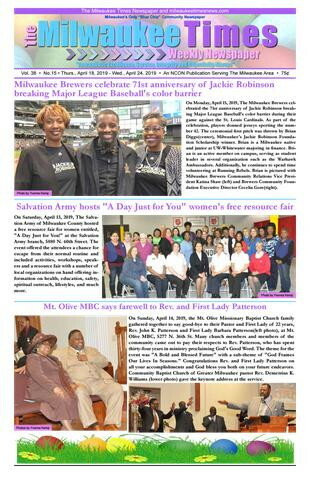 On May 10, 2018, the Kappa Alpha Psi Foundation of Southeastern Wisconsin, Inc. held their annual Dare to Dream Scholarship reception program, sponsored by Ascension. The graduating seniors were each awarded one thousand dollar scholarships. 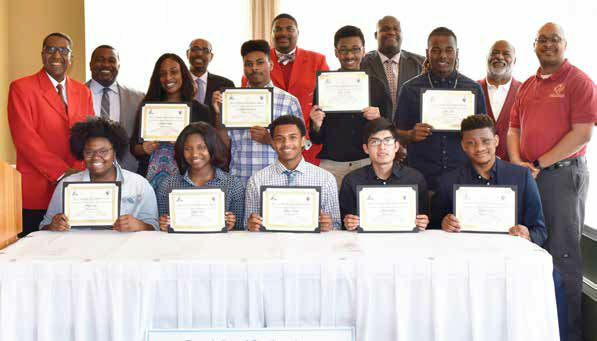 Pictured are Morgan Coleman, Rufus King International High School; Michael Warner-Craft, Carmen High School of Science & Technology; Isaiah Gordon, Golda Meir High School; Kobe Harris, Waukesha West High School; Jyris Jiles, Barack Obama SCTE High School; Kyla May, Milwaukee High School of the Arts; Tayler Owens, University School of Milwaukee; Sencere Powell, University School of Milwaukee; Jeser Ramirez, South Division High School; and Kenyon Terrell, Marquette University High School.